As many of you know, Glider has been posting his charcoal art on TL. He specializes in recreating photographs, mainly of actors and actresses. He also does commissions for people. 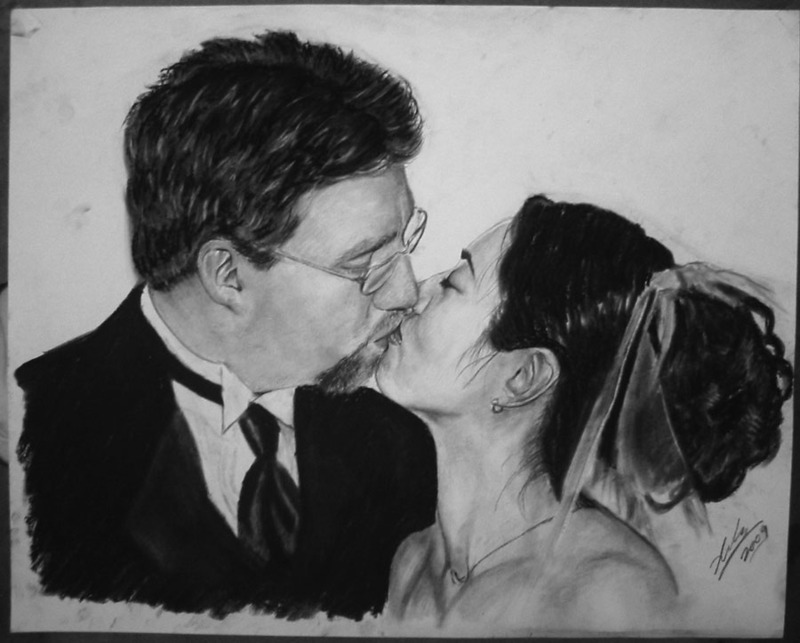 After seeing his art I thought it would be a great idea to have him do a portrait of my wife and I for an anniversary gift. My wife always complained that we paid a lot of money for wedding photos, but never did anything with them. I thought this would be a good way to start. Glider, whose real name is Xiaonan Sun, was professional every step of the way. I originally had a rather ambitious plan, but with his help settled on a photo that was just right. My emails were always returned promptly, and the work was completed to my satisfaction before any money changed hands. Today I received the portrait, safe and sound, in it's tube, at work. The whole process took less than six weeks. 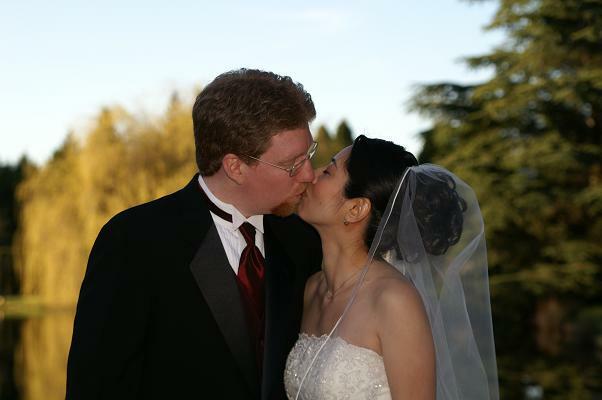 I will actually be back in Vancouver over my anniversary, while Yuko will still be in Japan. I plan to have the portrait delivered to her on the day, and then call her. It should be a great surprise. Of course, I had to get the movie as well. That is part of what makes the Xiaonan Sun experience so special. Quality art, a professional attitude, and a StarCraft fan. Glider is a pro in every sense of the word. Thanks a lot sir, and I wish you continued success. With your talent though, I don't think you will need any help from me. Would I repeat? Given the right occasion, absolutely. Nice work glider.. glad to hear you are a gem as well as a talented person! Glider's art is certainly on another level. Good idea and nice gift too. I think i'll steal that one day. Cool I'm really glad someone patronized him for his service! Very cool, be sure to check out his ambidextrous drawing thread!! It's especially awesome because a lot of the time when someone does your portrait you're like, 'wtf i don't look like that' but you have to thank them for their service anyway. Work is too amazing and never fails. Wow mani what a nice anniversary gift. Lucky women. omg wow i kinda doubted that was him, but not i do not love it great job, sorry for the doubt. haha, it was my pleasure mani, really happy that you like it! hope your wife will love it too! the size was 16"x20" i believe, for anyone with other commission related questions, check commission section or contact me through my site, make sure to mention that you're from TL. Awesome as always Glider. Keep up the amazing work! What Glider brings out in black and white is just incredible, it goes beyond just drawing.